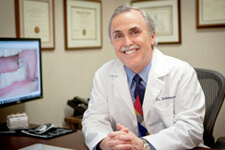 La Jolla Cosmetic Dentist, Dr. Charles Briscoe is a firm believer in professional teeth whitening. According to a recent national survey by the American Academy of Cosmetic Dentistry, 74% of adults feel an unattractive smile can hurt a person's chances for career success, while 96% of adults believe an attractive smile makes a person more appealing to others. Those patients seeking the best teeth whitening in San Diego should consult with Dr. Briscoe on the power of the KÖR Whitening program. Unlike typical tooth whitening that's redone every few years with only so-so results, the complete KÖR Whitening program is done only once in your lifetime! Then, with easy, periodic maintenance, you'll be thrilled with your stunning white smile that will last you the rest of your life. This treatment is intended to work even on teeth stained by tetracycline, nicotine, etc. And that's only the beginning. With this teeth whitening treatment, you'll never have to give up tea, coffee or red wine to keep your teeth their whitest. For these reasons and more, Dr. Briscoe's patients regularly call it the most effective teeth whitening San Diego has available. 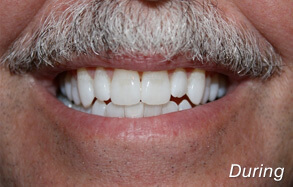 When you select KÖR bleaching, Dr. Briscoe will take impressions of your teeth, and use these to create bleaching trays that fit precisely and comfortably over your bite. Because they match your teeth so precisely, the trays ensure that the KÖR bleaching product you use is in constant contact with all of your tooth surfaces, as long as you are wearing the tray. Dr. Briscoe will recommend that you use the trays at night while you sleep. It then takes just 14 nights to complete the process and then you then go in for an office procedure that takes about 90 minutes. During this office visit, Dr. Briscoe puts the finishing touch on the whitening process ensuring that your teeth will remain beautifully white with only periodic easy maintenance done at home. Teeth whitening is now permanent with predictable results that are not possible with other methods using laser and bleaching lights. The KÖR whitening system has included several steps that prevent sensitivity issues. 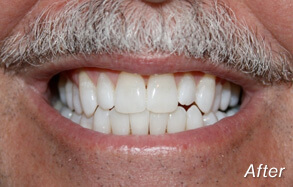 The bleaching agents that remove stains penetrate the teeth and can relay those materials close to the nerves. This contact with bleaching agents is what causes pain. The KÖR system starts with a chair-side application of a desensitizer that seals these channels so the whitening solution cannot come in contact with the nerves. Once this initial application is done, patients continue the process at home each day, applying the sensitizer as instructed before placing the bleaching trays on the teeth. The desensitizer seals the channels preventing the bleaching solution from touching sensitive portions of the teeth. The KÖR system of whitening is exactly that; a series of small steps that results in predictably white results for everyone. Patients are given clear instruction to follow during the at home portion of the process. Patients are instructed to insert the trays just before actually sleeping; not while watching TV or reading. The KÖR bleaching teeth whitening solution thoroughly cleanses and rejuvenates tooth enamel producing amazing results. 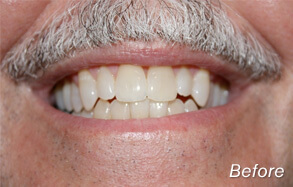 Dr. Briscoe’s patients are uniformly thrilled with their beautiful white teeth, often referring family and friends. 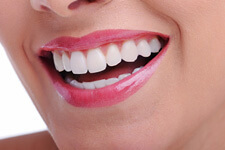 How do you know if Teeth Whitening is right for you? In a consultation, Dr. Briscoe will help you decide if you want to get Teeth Whitening. The best way to find out about KÖR tooth whitening is to schedule a consultation with Dr. Briscoe at La Jolla Dental Care. In a consultation, you can ask all of your questions about power bleaching with KÖR, and find out why Dr. Briscoe's patients say he delivers the best teeth whitening San Diego & La Jolla have available.